We are so busy with our day-to-day ‘hectic’ lives that we don’t often take time out to recharge ourselves. We wouldn’t drive our cars without fuel, yet we push ourselves to the limits every day. Here is an experience that you can have where you can literally replenish yourself in less than 20 minutes. This will energise and vitalise you to be able to function on a higher energy level. 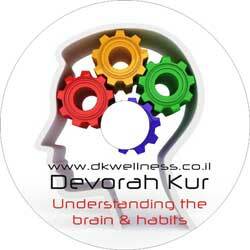 The brain is a powerful tool in understanding the patterns and habits we see in our lives. At the end of this CD, you will have a better understanding of how the brain works, what triggers things off, and how we can create new habits or think about situations. We also look at ways in which we can apply our thinking to stress management and attitudes we have in life. Get Inspired from these NEW ideas to start seeing changes in your life. Are you struggling with infertility? Do you feel powerless, emotionally drained and frustrated? The fertility journey can be very stressful, pressurising and demanding, leaving one feeling as if they are on an emotional and physical roller-coaster! Here is an opportunity for you to help yourself. In the comfort of your own space, take the time out from your stress to relax your body and listen and identify to powerful and healing affirmations relating to infertility and more importantly, your FERTILITY. I feel a new creative energy within me. Forgiveness is the key to letting go of the past and allowing healing in. Too often we are caught up in resentments that eventually surface in our bodies as symptoms or diseases. Free yourself from this downward spiral of resentment and watch as miracles start to take place in your life. This CD also includes a relaxation exercise with forgiveness visualisation to release from your body pent up resentments. Contact us For more information on how to order your copy.